We have loads of experience (years and years of it) and knowledge. 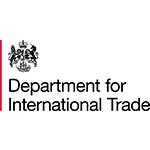 This means that we have been lucky enough to work with a large range of industries and business of all sizes. Whether you are a start up, sole trader, a corporate to an international firm, our skilled team will ensure that they come up with the ideas that help your business stand out from the competition. 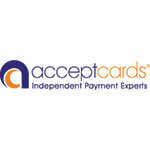 Acceptcards, an independent experts in all areas of card acceptance. Their service compares quotes and functionality to find the right one for your business. They offer a great personal service and help whether it’s reviewing costs and / or finding a solution that best suits how, when and where your customers want to pay you. 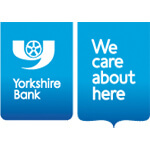 Yorkshire Bank are delighted to become members of YABA for 2019. We are pleased to offer members free business banking for 25 months for businesses turning over less than £2m per annum. (T’s & C’s apply). For businesses who turnover more than £2m per annum, you will be professionally managed by a dedicated Relationship Manager who has the time to get to know you and your business. We are also highly competitive on residential and buy to let mortgages so please feel free to contact us to discuss any of these further. 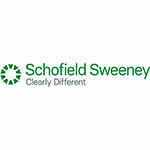 Schofield Sweeney is a leading commercial law firm offering clear, pragmatic and high quality legal services. We have a strong reputation for our innovative and results driven approach, investing time in getting to know a client’s business and its people, so that advice and solutions can be tailored to meet their commercial needs. 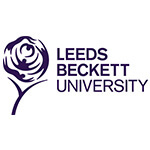 With offices in Leeds, Bradford and Huddersfield, we currently have over 160 staff, specialising in Commercial Property; Corporate; Commercial; Dispute Resolution; Education; Employment; Private Client (Wills, Estates, Trusts and Residential Conveyancing); Projects; Property Litigation; and Restructuring and Banking. 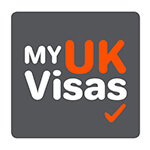 My UK Visas is a specialist immigration law firm. 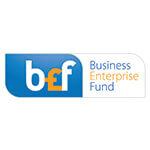 Business Enterprise Fund (BEF) is a not-for-profit social enterprise, set up to provide flexible finance to Yorkshire-based SMEs that will help them thrive and grow when other lenders can’t fully assist. Founded in Bradford in 2004, BEF began lending to small businesses in the local area with an initiative to encourage growth in the economy and provide a positive impact on job creation and communities. In that time, we have helped launch over 1,000 businesses, creating or safeguarding 3,000 jobs and adding £125m to the region’s economy. 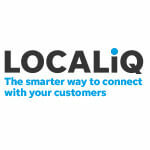 LOCALiQ is part of the Telegraph & Argus and is our digital marketing division. We combine our best in class digital marketing technology with data insights plus our huge audience reach to help our customers excel and grow and take their own business to the next level. 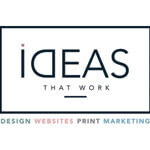 Offering best in class website design, SEO, search marketing, Geo-Targeting, Facebook, Sponsored content and more. Asian life is a quality lifestyle magazine celebrating Asian Life, Food and Culture. Published monthly, this A4 glossy magazine is packed with interesting articles from and for people with Asian heritage in the Bradford & Leeds area. We also are part of LocaliQ a digital marketing company. 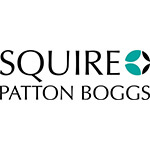 Squire Patton Boggs is a full-service global law firm with a multidisciplinary team of over 1,500 lawyers in 47 offices across 20 countries. The firm has deep roots in the Northern Powerhouse with a heritage stretching back to the 1880’s in Bradford and now has offices in Leeds and Manchester. 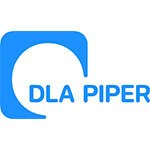 The firm’s India Practice is comprised of more than 100 lawyers globally and has dedicated team members in key locations, including Singapore, Hong Kong, London, New York, Washington DC, Dubai, Shanghai and Perth. The firm was delighted to have won International Law Firm of the Year at the 8th Legal Era Awards, held in Mumbai on 16 March 2019. The Legal Era – Indian Legal Awards recognize legal finesse, innovation and the accomplishments of legal practitioners, in-house teams and law firms.